Hey Natural Babes! I hope you're having a good weekend! Comment down below what you are up on the first weekend of July '17! 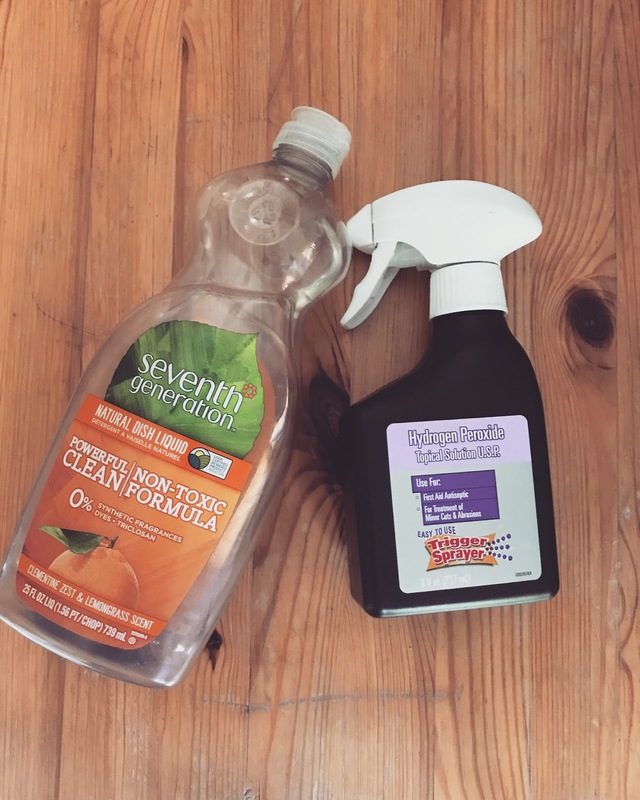 Today I'm starting this new series called Swap it Out, basically I will show you some inexpensive and natural alternatives to the conventional and toxic products most of us use on a day to day basis. This week's post is all about laundry products, I'll explain why it's important to stop using conventional laundry products and of course what to use or even what to make instead, check it out! So Why Should you Switch your Laundry Products? Conventional Laundry products are full of chemicals that are very harmful to all of us. You might be thinking that, "its just laundry soap it's not like I'm drinking or eating these products"' but these products are being absorbed onto our skin and into the air around us. It has been found that our skin absorbs 60% of what is put on it (Reference 1- see below) and with laundry products that are designed to linger and make our clothes "smell fresh" this isn't a good thing. A study done in 2011 by University of Washington found that after testing the top selling laundry products, “Five of the six products emitted one or more carcinogenic ‘hazardous air pollutants,’ which are considered by the Environmental Protection Agency to have no safe exposure level,” said study author Anne Steinemann." (2). Not to mention a lot of laundry products have synthetic fragrance in them as well and as we learned last week synthetic fragrance can also cause several health issues over time (check out the blog post here if you missed it: my scented products are harmful? | the truth about synthetic fragrance). So there are actually quite a few natural and well priced laundry soap options, I'll start with the more "expensive" one first (which is still very close in price to conventional products) and work our way to the crazy cheap option! Let's go! 1. Ecos Lavender Laundry Soap- Now this is the one I personally use, I find it super easy and works great on stains! If you have a membership at Sam's Club or maybe Costco they will have the best price on this. I am able to get a huge 250 loads bottle for around $15! If you don't have a membership to one of these places amazon has a pretty good deal on Ecos Laundry Soap as well for around $20 for 200 loads; just be weary of some of the other scents this line offers as they are scented with synthetic fragrance. Yep you heard me right! Basically soap nuts are fruit that you just throw in your washer and wash as normal! The cool thing about these is they can be used over and over again! For up to 100 loads at only $10.99, these are a pretty good deal! I have yet to try this option but I have watched several review videos and the general consensus is they work great but are not the best on stains, so if you've got an extra grimy garment I would just make sure to pre-treat with the stain remover swap I have listed below! This is by far the best priced option! This recipe I found is $20.75 for 320 loads!! These are my personal favorite! You just throw 3-4 balls in your dryer and they not only help cut down drying time but also soften your clothes! 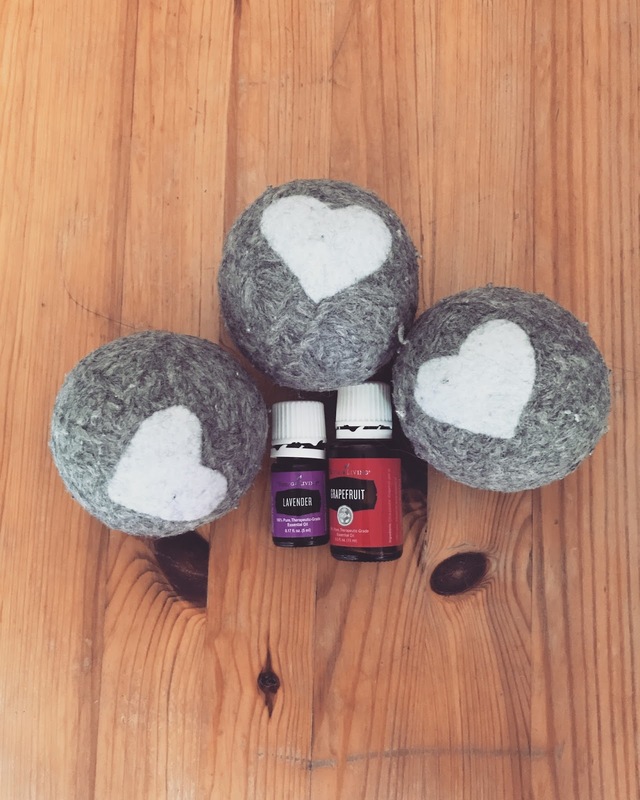 For an optional added scent put one or two drops of the essential oil of your choice on the ball before throwing in the dryer. Now these cost the most up front but they literally last forever (unless they are lost in that mountain high pile of "to fold" laundry). I've link'd below the best priced ones on amazon at only $8.81 for a 6 pack and similar wool dryer balls to the really pretty ones that I have pictured above (not as well priced but, too adorable!) cute wool dryer balls. I love this option they are a pretty good price (just $4.99) and easy to just throw in with your laundry! You can get a gallon at Walmart for under $3! Use 1/3 cup and just add to the basin of your washer machine it will not only soften your clothes but also get rid of any foul odors! If you're not a fan of the smell of vinegar, adding a drop or two of essential oils always helps as well! For stains I've got one go to recipe that works amazing and bonus it's extremely cheap! Fill a dark colored bottle (hydrogen peroxide won't work in a clear or light colored bottle it loses its effectiveness when exposed to light) half with hydrogen peroxide and half water then add about 1 tbsp of dish soap. Spray on the soiled area, scrub with a brush and wash as normal! Thank you so much for tuning into this Sunday's blog! Please share this on social media with your friends and family! The share buttons are down below. (1) Laurasnaturallife. YouTube. YouTube, 14 June 2016. Web. 02 July 2017. (2) Care, Annmarie Skin. 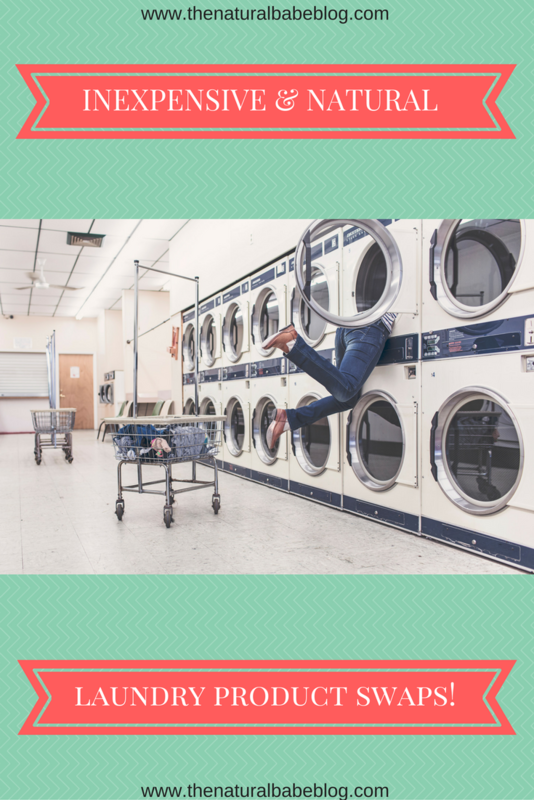 "7 Toxic Chemicals in Laundry Detergent." Annmarie Skin Care. Annmarie Skin Care, 14 Apr. 2016. Web. 02 July 2017. ** This blog includes affiliate links meaning if you purchase the item(s) from the link(s) I included I receive a small compensation at no additional cost to you. 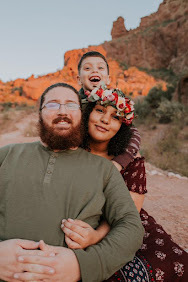 Programs like these are what help fund the natural babe blog and I truly appreciate any reader that may purchase using these links, thank you.